For paddlers who want to go their own way, we can hire you all the equipment you need, including extra accessories and even trailers. Recreational boats: Bass and Sprite kayaks; Wobbygong two-person Canadian canoes. 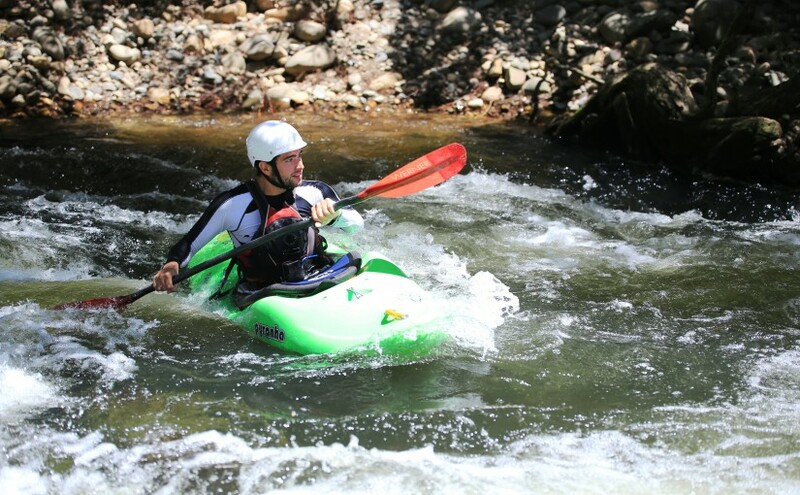 Specialist boats: Bliss-Stick kayaks, Pyranha kayaks and sit-on-top kayaks. NB. Canoe/kayak hire includes paddle, spray deck, helmet and buoyancy vest. Does not include transport, you’ll need your own roof racks or trailer plus ropes. PFDs (buoyancy vests), paddles, helmets, spray decks, wetsuits, plastic storage containers (60 litre) plus trailers of various sizes. Random Adventure Gear is the name of our in-house gear shop for Barrington Outdoor Adventure Centre. Here you can get all the kayaking, hiking, camping, mountain biking and adventure gear you may need for your outdoor adventures. With over 30 years of experience in outdoor gear, our team is here to answer your enquiries about products, prices and to help track down any special request that you’ve just got to get your hands on. Just ask us. Shop in-store at our office in Gloucester or check out the whole selection online at our Random Adventure Gear website.